In more than 100 presentations and interviews, I’ve served as the public face of the organizations that I’ve worked for. Each presentation or interview requires a clear strategy about what needs to be communicated, and an understanding of the constraints of the format. I served as the Public Information Officer for the Alexandria, VA federal court hearing the case of Zacarias Moussaoui, the so-called 20th hijacker on 9/11. 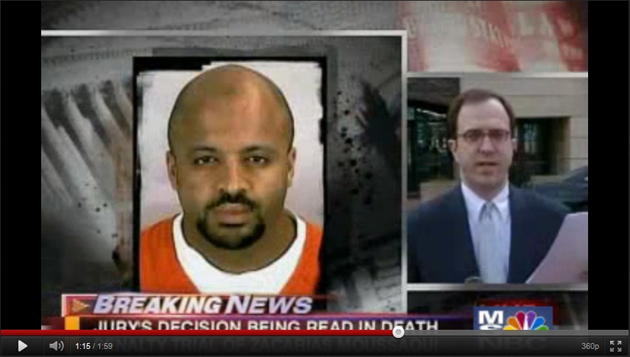 By the time of his 2006 trial, Moussaoui had already pleaded guilty. The jury’s role was to determine two things. First, they had to decide whether the crime he committed was eligible for the death penalty; they found it was. Second, after hearing additional evidence, they had to decide whether he would be put to death or sentenced to life in prison; they chose life in prison. Federal courts do not allow cameras in the courtroom during criminal trials. We had seen how the verdict announcement in the Martha Stewart insider trading case was botched by the media. Reporters ran so quickly from the New York courtroom to television broadcast positions in front of the courthouse that several news organizations wrongly reported that Stewart had been acquitted. The Moussaoui court wanted to ensure that reporting on our complicated verdict would be correct and that the dignity of the proceedings would be maintained. The court took my advice that we should be the first federal court to simultaneously announce the verdict in the courtroom and at the TV pool microphone stand in front of the building. That avoided the need for reporters to rush outside and allowed us to accurately describe the verdict. We needed to walk viewers through the legalese of the jury verdict form, and also clearly and concisely describe the effect of that verdict. A world away from the solemnity of the Moussaoui verdict was my presentation at the 2010 Ignite Law conference in Chicago about innovation in the practice of law. The 16 presentations were each limited to six minutes, with 20 slides set to auto-advance every 18 seconds. Because of those constraints, it was one of the most technically difficult presentations I’ve ever had to deliver. As a moderator of panel discussions, the challenge is to ask questions that will elicit the most interesting possible answers. 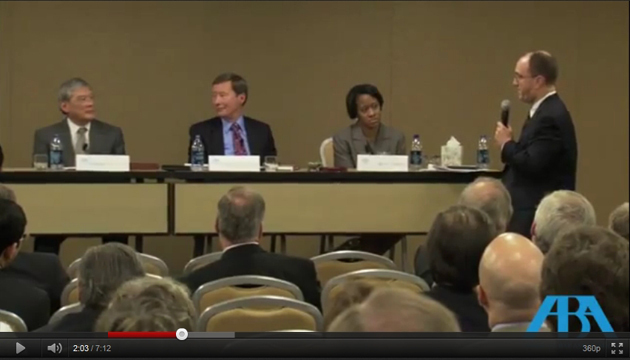 In 2011, I moderated a panel at the ABA’s Midyear Meeting in connection with the independent film The Conspirator. Directed by Robert Redford, the movie recounts the trial of Mary Surratt, who ran the boardinghouse where the assassins of Abraham Lincoln plotted his murder. The panel was part of the ABA’s marketing partnership with the film’s producers. The panel featured the film’s screenwriter, military lawyers and defense counsel from post-9/11 terrorism cases. Our goal was to tie together scenes from the film with the experiences the lawyers had in recent cases. Interviews demand an ability to roll with the punches, including sometimes disagreeing with the interviewer. That can be true even on the most innocuous of stories. Being interviewed by print reporters can be fraught with even more danger, since your interview is only a small part of the final article. The reporter is ultimately in control of how you will be portrayed. Having been a reporter helps me anticipate the reporter’s needs and avoid potential landmines for my organization. In late 2009, I was contacted by a reporter from Associations Now magazine, the flagship publication of the American Society of Association Executives. 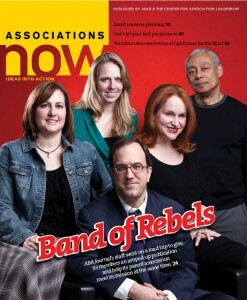 They wanted to write a short story about the ABA Journal’s Legal Rebels project as an example of how associations could communicate with their members in new ways. Every media product needs to be constantly reinvented – and none more so than those targeted at a young demographic. Working with a team of two designers and two editors, I oversaw a total rethink of the publication – starting with the question whether we really needed a magazine at all. The results of our reader survey surprised us: 75 percent of readers said they preferred print over digital for the kind of career information the magazine provides. Half of our readers said they had read each of the last four issues and 55 percent saved all or part of each issue for future reference. Despite the stereotype of younger readers loving all things digital, this audience wanted to continue to get a magazine. The covers lacked energy and sophistication. 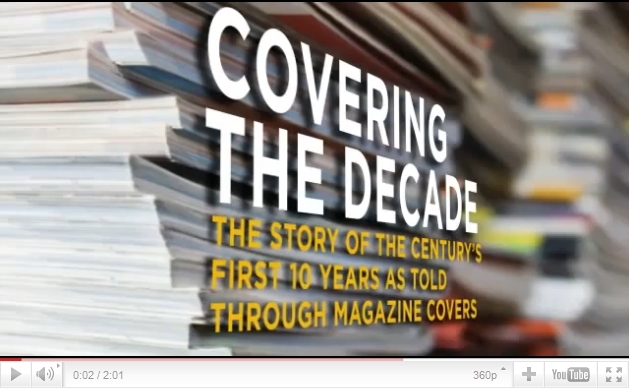 We needed covers that grabbed the readers’ attention and compelled them to open the magazine. The magazine was a nearly unbroken wall of text. We needed more white space on the pages, so a reader’s eye could focus on what’s important. Stories were rarely shorter than two pages. We needed a better mix of short and long stories. Most of the stories were “evergreens” that could just as easily run three months from now as run today. We needed news stories to provide more immediacy. Most stories were trend pieces that rarely put a spotlight on actual students. We needed to write more about people to whom our readers could relate. Few stories were about the legal profession’s celebrities. Even in a profession as staid as the law, readers want to read about the profession’s “rock stars,” because they’d like to be rock stars one day. Inside the magazine, we aired out our layouts, often running sidebars with our feature stories to break up walls of text and provide readers with multiple points of entry into a story. Our art budget for each issue was so small we couldn’t afford to photograph our subjects, so we incorporated reader-submitted photos and employed more low-cost wire service shots. To incorporate shorter articles we created a new section at the front of the magazine called In Session. Each month, it started with a one-page article called Head of the Class about a law student in the news. That was followed by a two-page spread showing a map of the United States that featured one-paragraph news items from law schools across the country. I Wish I Had Known: A one-page article about what a lawyer recently in the news wished he or she had known when they were attending law school. Written in an as-told-to format, the column amped up our “celebrity” coverage while maintaining the magazine’s career focus. Secret Lawyer: A one-page article about a law school graduate who is using their legal skills in politics, business, entertainment or some other non-legal profession. We introduced the monthly column with a cover story on the same topic shortly after the redesign. Poll: A full-page Q-and-A from our monthly survey of ABA law student members. In Brief: Our home for short items about technology, careers and surviving law school. The redesign was a big hit, both with the leadership of our internal client – the ABA’s Law Student Division – and with readers. At last, we had a magazine every bit as leading-edge as the profession’s next generation. 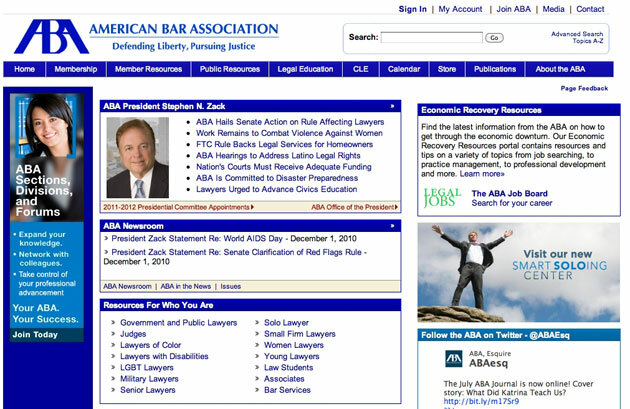 Redesigning the ABA’s website was among the most politically and logistically challenging assignments I’ve ever undertaken. It is a case study in how to manage change in a large, matrixed organization. At the core of the site’s problems was that there was almost no centralized oversight. A four-person department was responsible for a site that had more than 100,000 web pages and more than 200,000 digital assets – PDFs, Word documents, PowerPoint presentations and the like. Out of an ABA staff of 900, almost 400 people had rights to update the site, including its core templates. That led to the site becoming – much like the ABA itself – a collection of silos. Design and the quality of content varied tremendously from one section of the site to another. It made it difficult for users to find information quickly. Everyone agreed the site needed to be managed as a single product, but even so, no one wanted to surrender the freedom to do as they pleased on their section of the site. Based on my success creating and growing ABAJournal.com, I was asked to co-lead the redesign process with the ABA’s webmaster. In February 2010, the ABA hired Ogilvy & Mather to work with us on what became an eight-month redesign process. The process was broken into 13 stages, starting with the general (such as business objectives and website strategy) and moving to the specific (such as the HTML code for our new templates). Knowing our solutions would require enormous amounts of compromise and change, we had to design a process that would maximize buy-in from a reluctant staff. We created a process that was the most collaborative in the ABA’s long history. At the beginning of each of the 13 stages, Ogilvy presented their recommendations. Those were distributed to more than 250 ABA members and staff representing the organization’s many constituencies. They were given a week to review the materials and provide written comments. Near the end of that week, Ogilvy staff members presented their ideas in workshops at the ABA’s Chicago headquarters at which more feedback was collected; those sessions were also streamed as webinars, so members across the country could participate. At the end of that week, the ABA’s webmaster, a team of five ABA members and I would assess the feedback, make changes large and small to Ogilvy’s recommendations, and finalize our decisions for that stage. For particularly complicated stages of the process, such as wireframes and templates, we would go through a second or third round of reviews. Ogilvy told us this was the most complicated redesign process they had ever been involved in. And there were certainly faster ways to reach the decisions we made. But by taking the time to involve the whole organization at every stage, the final product was something everyone had participated in creating. And we could point to that consensus-driven approach when individuals raised objections to decisions that had been made months before. We transitioned from a site that was run by three antiquated content management systems to a single new CMS, for which I led the selection process. Like all modern CMS packages, it separated content from the display of that content. That enabled us to deploy and maintain a unified look-and-feel across the whole of the site, since templates couldn’t be changed by content contributors. All content added to the system could be tagged by topic, enabling site visitors to find content not just by what part of the ABA produced it but by the subject matter it addressed. Tagging also allowed us to improve the quality of results from the site’s search engine – long a source of complaints by ABA members. The number of ABA staff with access to the CMS was radically reduced, and everyone received extensive training about how to use it. We culled outdated content, relaunching the site with just 30,000 web pages and 60,000 digital assets, and instituted rules to sunset new content so the problem of outdated content wouldn’t reoccur. We changed our URL from the rather odd ABAnet.org to AmericanBar.org. 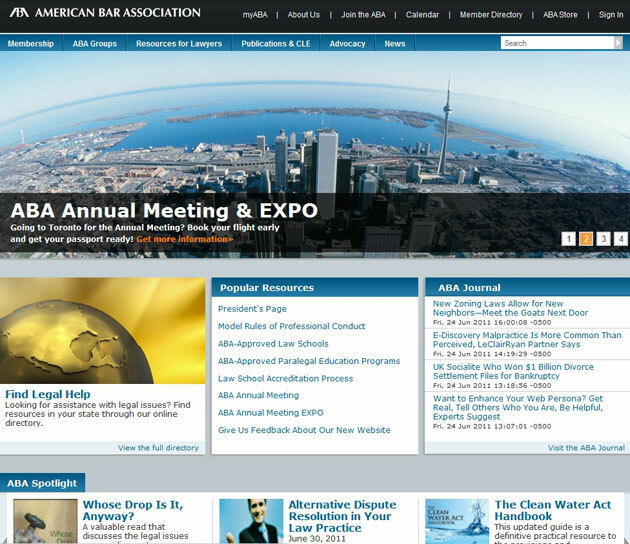 A year after the process had begun, the redesigned site debuted in February 2011 to almost universal praise among ABA members and staff. That was due as much to the collaborative process of redesign as to the product we produced. And by instituting a new set of rules governing how the site would be maintained, rather than creating a centralized bureaucracy to control the site, we solved the site’s long-standing problems while working with – rather than against – the ABA’s decentralized power structure. A successful partnership – where both sides agree to take certain actions to achieve their goals – requires clear understandings about the desired outcomes and close attention to the execution of the deal long after the partnership agreement has been signed. 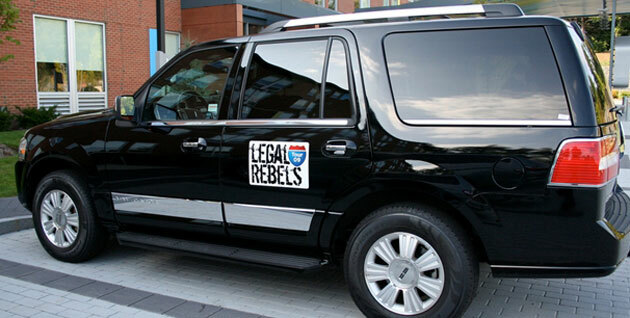 For the inaugural year of the ABA Journal’s Legal Rebels project, which profiles America’s most innovative lawyers, I and three colleagues took a two-week roadtrip from Boston to Washington, D.C. Each day during the 2009 journey, we visited a new Legal Rebel, posting their profile online along with a video interview. We also covered the journey itself with video and social media dispatches from the road. To defray our travel costs, I approached Starwood Hotels, Hertz and Sprint – which already provided discounts to ABA members — to become partners in the program. They immediately saw the benefit of aligning their brands with innovation in the legal profession and our unconventional way of covering the topic. Starwood provided hotel rooms at every stop on the tour, Hertz gave us use of a Lincoln Navigator, and Sprint loaned us their latest cell phones and a MiFi mobile broadband card, enabling us to stream web video from our tour vehicle while it was in motion. In return, the sponsors received recognition in print, on our website and in videos. But the real value was in how we integrated their products into the tour. We filmed our daily video tour diaries from the SUV and hotels, and mentioned the products – always identifying them as project sponsors – in our website and social media reports. Because our incorporation of sponsors’ products was improvisational rather than scripted before the tour began, it was enormously helpful that I had both negotiated the deal and was captaining the tour. In early 2011, the ABA was approached by the producers of the independent film The Conspirator. Directed by Robert Redford, the movie recounts the trial of Mary Surratt, who ran the boardinghouse where the assassins of Abraham Lincoln plotted the murder. A substantial advertising buy by the producers in ABA Journal print and digital media. Seven free advance screenings of the movie for ABA members in cities across the country. A sweepstakes in which the winner was flown to the world premiere of the film at Washington, D.C.’s Fords Theater. Group ticket discounts for ABA members. A page on the ABA’s website promoting the film. A panel discussion at the ABA’s Midyear Meeting, featuring the film’s screenwriter, military lawyers and defense counsel from post-9/11 terrorism cases. I moderated the panel. The participation of the film’s historical consultant in an ABA Journal story about the legal legacy of the Civil War. The project was glitzy – quite out of the ordinary for a professional association like the ABA. It reminded our members why many of them became lawyers – and the values the ABA fights for every day. And the positive buzz from lawyers who saw the film enabled it to meet its opening weekend box office target when it debuted in theaters in April 2011. 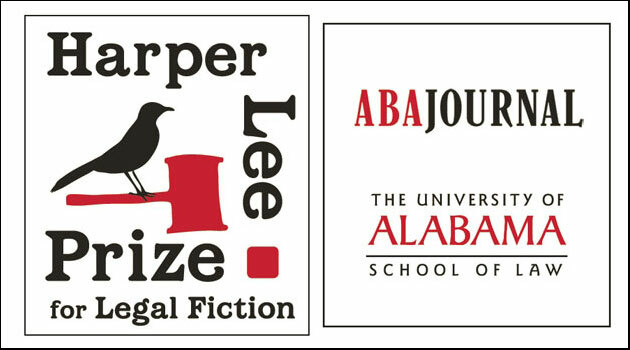 In late 2010, the ABA Journal was approached by the University of Alabama School of Law, which wanted to partner with us to give an annual prize to the best legal novel of the year. The project fit well with the ABA Journal’s brand, and our participation would bring attention and credibility to the award. A substantial advertising buy by the school in ABA Journal print and digital media. An announcement of the award at a speech by U.S. Attorney General Eric Holder. A two-month publicity campaign targeting book publishers, which drew more than two dozen entries. Volunteers from the law school and the ABA selected the finalists – novels by Michael Connelly, John Grisham and Randy Singer. An all-star jury to select the winner, including novelists David Baldacci and Linda Fairstein; Southern Poverty Law Center founder Morris Dees; and CNN senior analyst Jeffrey Toobin. A poll on ABAJournal.com, in which readers could select their favorite from among the finalists, which would inform the work of the jury. An award ceremony and panel discussion in September 2011 during the Library of Congress National Book Festival in Washington, D.C.
Award recognition on the covers of future editions of the winning novel. An excerpt from the winning novel in the October 2011 issue of the ABA Journal. 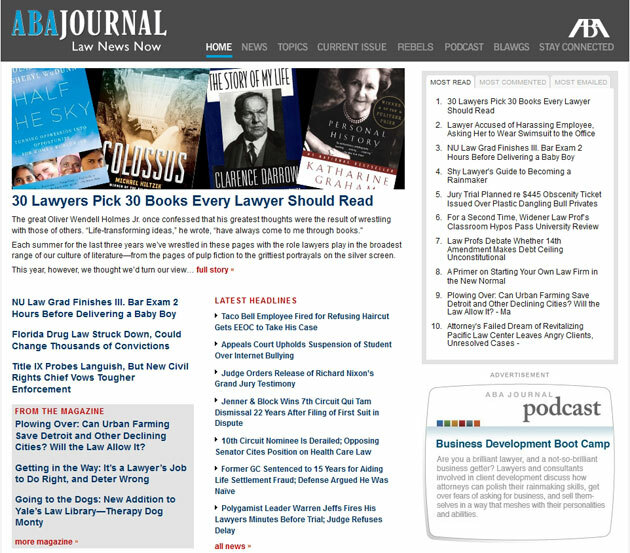 When we were building ABAJournal.com in 2007, we wanted the site to foster a sense of community among lawyers. But we didn’t go about that in the typical way. At the time, many business-to-business publications were creating their own social networking sites, all trying to become the Facebook for [fill in the blank]. I didn’t think that profession-specific social networks would be successful. It’s a view that proved controversial when I voiced it at a magazine trade show in 2008, but I think it has since been largely proven correct. Profession-specific social networking sites generally miss the crucial ingredient that make Facebook, Twitter and LinkedIn so successful – they don’t include the profession’s clients. If a professional networking site doesn’t allow a user to develop new business, it serves no purpose. So rather than serving as the hub of the legal profession’s social network, we saw ABAJournal.com as just one more member – albeit an influential one – of that network. And we set about providing some of the glue that would bind the legal community together online. We viewed our constantly updated feed of the latest legal stories as providing the raw materials for the growing community of legal bloggers who commented on the news of the day. Opening our site to anyone, rather than limiting access to just members of the ABA, was an important way to support that community. Doing so also maximized our traffic and our ad revenue. The directory categorized each blog by subject matter, the kind of author (partner, associate, judge, etc. ), and the state or court that the author wrote about. Each entry included the blog’s 10 latest headlines. As of July 2011, the directory included more than 3,000 blogs. To provide more granular access to that blog network, with a technology partner we built a search engine that covers those blogs, allowing users to find the latest commentary on any particular subject directly from the search box on every page of ABAJournal.com. We also wanted to spotlight the newest and best blogs, and created a feedback loop to do so. We asked our readers to nominate what they considered to be the best legal blogs (also known as “blawgs”). From those nominations and our own research, our editors selected the best in a dozen categories for our annual Blawg 100 magazine cover story. We then asked our readers to pick their favorites in each category, with the annual online balloting attracting as many as 25,000 votes. Category winners were then listed online and in the magazine. Each week on the site and in our email newsletter, which has a circulation of 400,000, we spotlighted a noteworthy blog, which was often related to the topic of a breaking news story. Each Friday one of our editors posted a roundup of some of the most interesting commentary in her Around the Blawosphere online column. Between weekly installments, she highlighted blawgosphere posts in her Blawg Whisperer Twitter account. And at the ABA’s annual TechShow conference, in conjunction with a company that markets blogging services to attorneys, we hosted a Beer for Blawgers cocktail hour, where virtual friends could meet in person. By knitting the legal community together online, ABAJournal.com became an essential resource for that community. How do you cover innovation in an innovative way? That was the challenge the ABA Journal faced in early 2009, in the depths of the recession. Law firms nationwide were laying off droves of attorneys every day. The news got so depressing that several readers asked us to just stop reporting it. While that wasn’t a viable option, it got me to thinking about how we could instill some hope in our audience that things wouldn’t always be this bleak. Could we be upbeat without becoming Pollyannas? The answer lay in the increasing number of attorneys trying to bring innovation to the practice of law, remaking their corners of the profession. Like the Santa Monica, CA solo practitioner who opened a coffee shop where you could get legal advice along with your mocha cappuccino. Or the Fortune 500 general counsel who forced the law firms he hired to staff his projects with minority attorneys. Or the law school dean in Chicago who thought students should learn as much about the business needs of clients as the substance of the law. We called these innovators Legal Rebels, and adopted as the project’s mascot Lady Justice with a pirate’s patch over one eye. We set about profiling 50 Rebels over the course of four months. While some of those profiles would run in the magazine, all of them would appear online. And each would have a video interview, audio podcast, photo slideshow or some other form of multimedia component. That was something the ABA Journal had never done before, so I and my staff would learn by doing. As we were assembling the list of Rebels, we asked our readers to submit nominations. We thought we might get a few dozen. More than 250 poured in. We knew then that we were onto a good story, as well as a kind of storytelling that was new to us – one in which our readers were as much participants in the journalism as consumers of it. With those profiles as the core of the project, we began to add interactive elements. The Rebels project was more than just a package of stories – it was describing a movement. And every movement worth its salt has a manifesto. So we posted a draft manifesto on our site as a wiki, and invited our readers to edit it. Once a consensus emerged around the wording, we posted the final version and asked readers to sign it, committing themselves to innovation in their corner of the legal profession. The Rebels project was also about a journey, as the profession traveled from the status quo toward some undefined future. What better way to cover a journey than to actually take one? 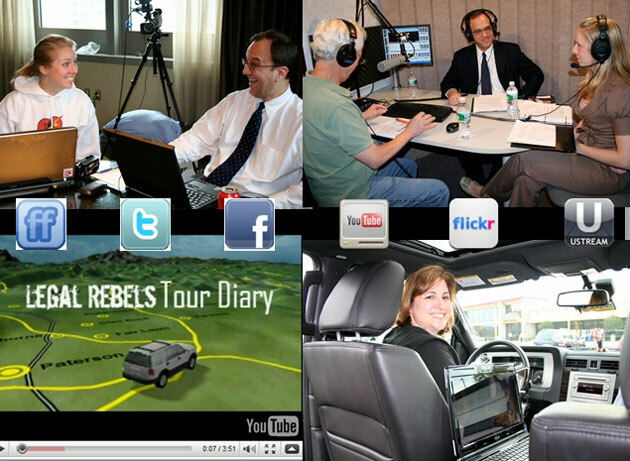 For two weeks in September 2009, three colleagues and I took a road trip from Boston to Washington, D.C. Rumbling down I-95 in a black Lincoln Navigator SUV, complete with Legal Rebels signage on the doors, we stopped each day to visit with a new Rebel and post his or her profile online, along with a video interview. But we also wanted our readers to ride shotgun. So we mounted a webcam on the dashboard that broadcast live whenever our vehicle was in motion, so our audience could listen in as we talked about our latest visit and prepared for our next. We embedded a Google Latitude map on our site that tracked my cell phone, so readers could see where we were every minute, down to the block. And we filed a steady stream of updates to Twitter, Facebook and other social media sites. We heard back from thousands of readers hungry to interact; they sent us everything from questions to ask in our next interview to suggestions where to eat. (If you visit New Haven’s Pepe Pizza, I recommend the clam pie.) We ended every day filing a video tour diary, in which we discussed who we’d seen and where we’d been, and thanked our readers for their contributions. And we weren’t above some pure silliness. When we met with our readers along the way, like at a Manhattan tweet-up, we gave them Rebels temporary tattoos. And readers could buy Rebels swag – t-shirts, caps, even a skateboard – from our online store. Advertisers clamored to align their brands with the legal profession’s top innovators, earning us six figures of fresh revenue during one of the most difficult years for selling ads since the Great Depression. And our tour hotel rooms, vehicle and communications gear were all provided by sponsors (learn more about those sponsorships on the Negotiating Partnerships page). The project was so well received that it’s become an annual event. 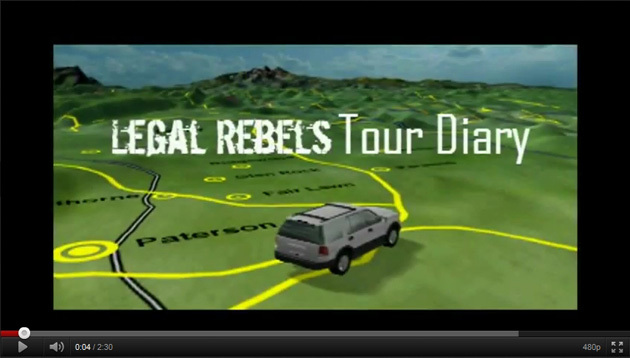 In 2010, we focused on Rebels who are solo practitioners and doubled our revenue. 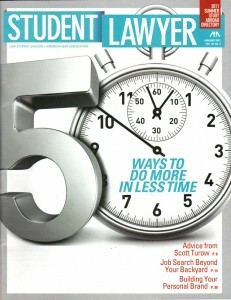 In the fall of 2011, the project will focus on the other end of the market – innovators at the nation’s largest law firms. Successful digital products – those that attract big audiences and earn significant revenues – generally start with a simple premise. At the ABA Journal, as we started building our digital business in 2007, we wanted to be everywhere our readers consumed information. By delivering legal news through whatever means our audience used, we believed we could build a robust business from the web, email, mobile apps and social media. The only certainty was that we would need to constantly innovate, creating new products as new digital platforms emerged. So my challenge was not just to create and monetize new products, but to build a staff culture that rewarded creativity and smart risk taking. Posting the full text of the magazine online, along with an archive stretching back years, was the obvious starting point. 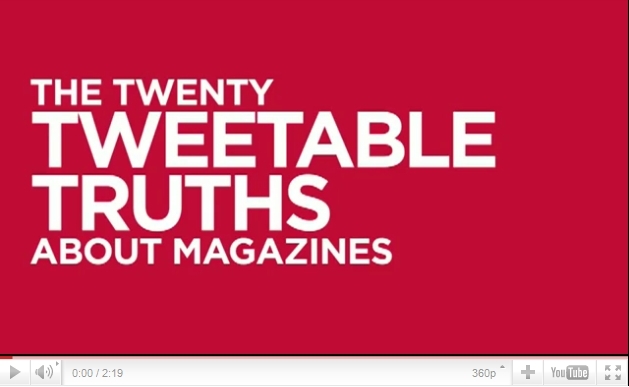 But the content of a monthly magazine wasn’t enough to attract a significant online audience. Through a series of all-staff brainstorming sessions, we explored what websites we personally used and what drew us to them. To be successful, we realized that our site had to function at the speed of the web. And we needed to fill a niche in the market for online legal information that was untapped. Two decisions helped us achieve those twin goals. First, we decided to update the site throughout every business day with summaries of and links to the best legal news coverage from around the web. Adopting the motto Law News Now, we created a continuous news desk, with a team of reporters working from 5 a.m. through 7 p.m. each weekday, posting 12-25 stories a day. Each of those stories was categorized into one or more of hundreds of topics, so busy lawyers could quickly drill down to the news affecting their practice area or interest. To add to our challenges, our new digital operations had to be funded out of existing revenues. So I reassigned five of our 28 magazine staffers to the online team. They built ABAJournal.com from the ground up, including a new content management system, design, and set of business rules about how the site would run. We also educated our ad sales force about what the site offered advertisers. We went from a standing start to launch in six months, at a cost of just $20,000. At the time of launch, we refashioned our weekly email newsletter. It had featured two to three originally-reported stories. Instead, it now featured our 10 most-read stories from the website, along with featured stories from the magazine and a blogger of the week. In short order, the newsletter’s circulation grew 60 percent, to 400,000. With lawyers addicted to their Blackberries, we had a mobile website from the beginning. In 2009, as the iPhone began to made major inroads into law firms, we launched an app for the device featuring our daily and magazine stories. In 2010, a week after the iPad launched, we had an app for that device, taking advantage of its larger screen size. As of June 2011, our apps were on more than 65,000 Apple devices. In a year’s time, we saw traffic across all three mobile platforms increase 230 percent. And in just three days, I was able to sell out all mobile advertising space for an entire year. We also experimented with other information distribution channels that would expand our brand but not necessarily earn a lot of revenue. We started monthly audio podcasts distributed on our site and via iTunes. We convinced Google to digitize more than 50 years of back issues as part of its Google Books project. We created widgets containing our headlines that any website could embed. And we added our headlines to a network of video monitors in more than 700 office buildings and hotels nationwide. Along the way, we didn’t neglect social media. As Facebook and Twitter gained market share, we established accounts on both services. 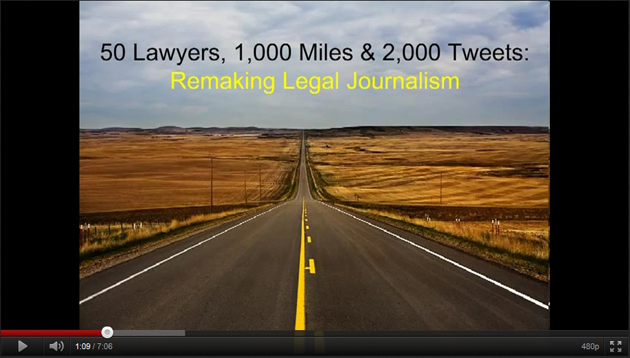 As of July 2011, the Journal had more than 16,000 followers on Twitter and more than 6,300 fans on Facebook – the most of any legal periodical. By educating our advertisers about how our electronic products could help them reach new audiences in new ways, I and our ad sales team were able to build the Journal’s digital products into a $1 million business over the course of three years. Thanks to the growth of our digital revenue, we were able to not just survive the Great Recession, but thrive in its midst. Maximizing the revenues of media products often requires looking at ad sales from a fresh perspective. In 2007, I conducted a comprehensive review of ABA Journal advertising with the goal of reversing the five years of declining sales that I had inherited when joining the ABA in late 2006. We had tried to improve revenues with the status quo, but it simply wasn’t working. We needed a new strategy and new people to execute that strategy. Almost all of the magazine’s ad sales came from endemic advertisers who marketed only to lawyers. But the legal vendor industry had been undergoing a sustained period of contraction, with our biggest advertisers buying up smaller companies and cutting total ad spending. If we were going to grow revenues, we needed to reach out to a broader set of business-to-business (b-to-b) advertisers in the business services, financial services, and travel/luxury goods sectors, for whom lawyers were just a subset of their market. Fortunately, we had a good story to tell these advertisers, offering them a large audience of high-net-worth individuals who made the spending decisions for their law firms. We also had a challenge on the expense side of our ledger. We were spending an unsustainable 40 percent of our revenues on the costs of commissions and ad sales support. Our five-person ad sales support department included an associate publisher, marketer, researcher, classified ad sales manager and ad trafficker. Some of these staff members had been with the magazine for decades. To address these challenges, I terminated our relationships with two ad rep firms, consolidating all our business with one ad rep firm that had offices nationwide and a track record of expanding b-to-b ad sales for other publishers. I negotiated lower commission rates and convinced the ad rep firm to hire a new rep from the Wall Street Journal who would work only on our business in the important New York market. The firm also took on responsibility for our marketing, research, ad trafficking and classified ad sales functions. That enabled me to make the tough decision to eliminate our ad sales support department. Our ad sales expenses were cut in half. I worked closely with our new sales force, including joining them on sales visits, to target non-endemic advertisers. Over the course of the following three years, we attracted a series of new b-to-b advertisers to the magazine and our growing digital business, including Bank of America, Citibank, Comcast, Experian, HP, HSBC, IBM, Intel, Microsoft, New York Life, Office Depot, Porsche, Regions Bank, Ritz-Carlton Hotels, Sprint, Taj Hotels, UPS Stores, Verizon, and Xerox. Thanks to this strategic review, we were able to thrive throughout a recession that forced many b-to-b magazines to close. Editing a print magazine is the ultimate collaborative enterprise. In support of the magazine’s mission, there are hundreds of decisions every issue, made by dozens of editorial and design professionals. 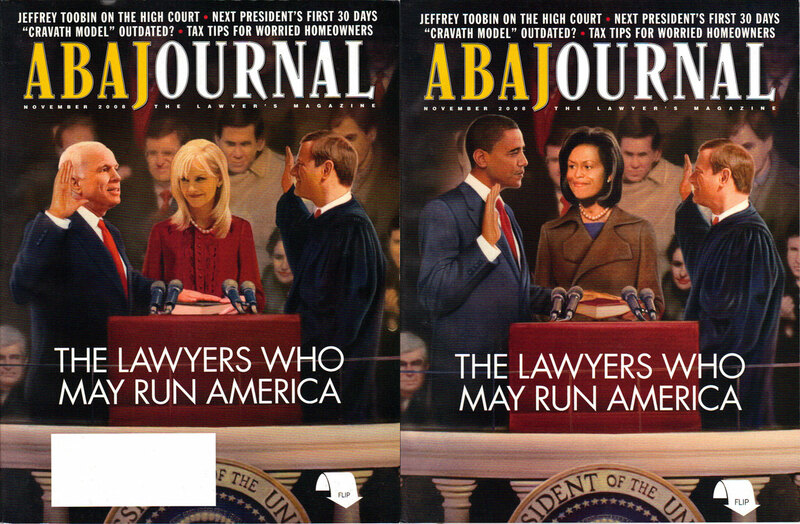 When I joined the ABA Journal as editor and publisher in the fall of 2006, our readers, ABA leaders and most the Journal’s staff thought the magazine had lost its way. It had become boring and predictable. Reading it was like a homework assignment. Rather than trying to remake the magazine all at once, I set about reworking it bit by bit because that was the fastest way to effect change. Also, by working with my colleagues rather than imposing a vision, we were likely to surface the best ideas from the whole of the staff. Articles about asbestos, climate change and the insanity defense may be important, but they appeal to very narrow slices of our audience. With 500,000 readers – the most of any legal publication – we needed to cover topics that were of interest to the whole of the profession. Our stories tended to be about issues, not about people. It is fundamental that people want to read about other people. So our mantra became that we would cover the law – including in our issue stories – through the eyes of the lawyers involved. The cover images and headlines were less than scintillating. We needed covers that compelled readers to open the magazine, employing eye-catching images and bold headlines. Over the next three years, we rebuilt the magazine into one that connected with readers like never before. A remarkable 60 percent of readers reported that they read each of the last four issues, according to independent research. Franchise Issues: We created a series of annual projects that came to define the magazine, much as the list of the 500 biggest corporations defines Fortune. They included our Legal Rebels project profiling the nation’s most innovative lawyers, our list of the 100 best legal bloggers, and our annual look at law in pop culture, like the 25 greatest legal movies, TV shows and fictional lawyers. Celebrities: We ran an excerpt from U.S. Supreme Court Justice Antonin Scalia’s book about how to be a better appellate advocate, along with an exclusive interview. Prior to the book’s publication, the justice spoke to only two news organizations: 60 Minutes and the ABA Journal. Our look at how U.S. Supreme Court Justice Ruth Bader Ginsburg balanced her professional and personal lives early in her career provided practical advice from a well-known judge. And we reached back into the distant past with our cover story about Abe, Esq., telling readers how they could practice law like Lincoln. Ordinary Lawyers: We also put a spotlight on ordinary lawyers with extraordinary stories to tell, like a selection of solo practitioners who earn $1 million or more each year, a Cleveland solo who took an unlikely case to the Supreme Court and won, or the tale of Ken Feinberg, who remade the way America deals with mass tort suits like those stemming from 9/11 and the BP oil spill. Practical Advice: We told our readers how to do more in less time, avoid ethical traps and save money on the goods and services needed to run a law practice, like legal research. Investigating the News: When we covered the news, we gave our reporters the time and resources to go beyond the headlines. Our story about Iraqis left to fend for themselves after helping U.S. troops was named the best feature story of the year by the Chicago Headline Club. Our coverage of the legal fallout from the sinking of an Alaskan fishing boat earned the American Legion’s Fourth Estate Award – the first time a trade association magazine claimed the prize in its 30-year history. And our story about the slow pace of filling judicial vacancies was referenced during Congressional hearings on the subject. Setting the Agenda: The deep expertise of the Journal’s reporters and editors enabled us to set the agenda for the profession in important ways. An essay about the evils of billing clients by the hour, written by novelist and practicing lawyer Scott Turow, anticipated the debate that would arise during the recession, as the economic power of clients increased. Our investigation into the suicide of a well-known Washington, D.C. partner who killed himself shortly after being fired made law firms think about handling layoffs in more sensitive ways. And our profile of the man behind the hugely influential U.S. News rankings of law schools presaged the profession’s increasing doubts about whether law schools really look out for the interests of their students or care more about how they rank. And we weren’t above an occasional stunt when it served the interests of the story. We wanted our November 2008 cover story to be about the new President, but needed to find a way to write it well before the outcome of the election would be known. Our solution was to write two stories about the lawyers most likely to be appointed to senior positions in an Obama or McCain administration. We commissioned illustrations of both candidates taking the oath of office. One ran on the front of the magazine (McCain’s, decided by the flip of a coin). The other could be seen by flipping the magazine over to the “back” cover. No matter what topic we covered, our goal was always to produce what my very first editor at the Cincinnati Enquirer called “Hey Martha” stories. The ABA Journal gave lawyers a lot of Hey Martha stories. How do you convince busy lawyers to take the time to watch web videos? 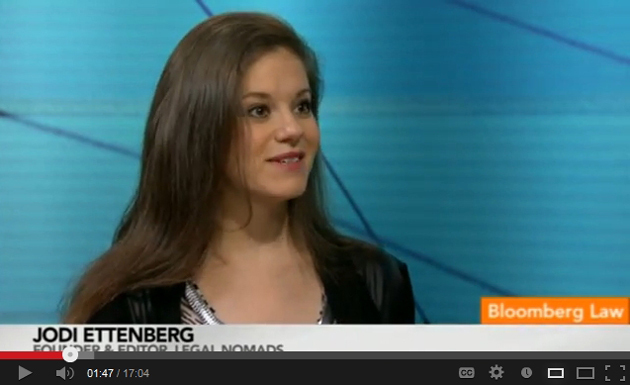 That was the challenge when I joined Bloomberg Law as multimedia editor in January 2012. The legal research service had been experimenting with web video. It felt the medium could differentiate Bloomberg Law from its competitors – which weren’t producing video content – and build brand awareness for the relatively new Bloomberg Law product. I was asked to create a strategy to accomplish that. What had been conceived of as a marketing effort produced by a team of lawyers needed a strong dose of journalism if it were to succeed. Timeliness was the first journalistic attribute we needed. To become an information source our audience would turn to routinely, I decided we needed to publish every day, rather than on the ad hoc schedule that had existed. We also needed to tie our videos much more closely to breaking news, which has led us to work with some of the legal profession’s leading news sources. When legal magazines and organizations are about to issue a survey or report, we interview them in advance about the results, so our video can be published contemporaneously with the release of their reporting. By leveraging their work, our own videos have become timelier. Our next challenge was improve the quality of our guests. We needed legal celebrities, but the profession is extremely siloed. Even the best banking lawyer, for instance, may be largely unknown to lawyers who handle litigation or mergers. So we focus instead on the name-brand clients those lawyers represent. Our guests have included attorneys for cyclist Lance Armstrong, filmmaker Ken Burns, crime writer Patricia Cornwell, actor Tom Cruise, singer Lauryn Hill, and shoemaker Christian Louboutin. We’ve spoken to the counsel for Chase Bank, the nation of Greece, H.J. Heinz, Instagram, Lucasfilms, Manchester United, the NFL, the NHL, Penguin Books, Reader’s Digest, and Virgin Media. With more timely and relevant programming featuring better guests, we could now expand our distribution. 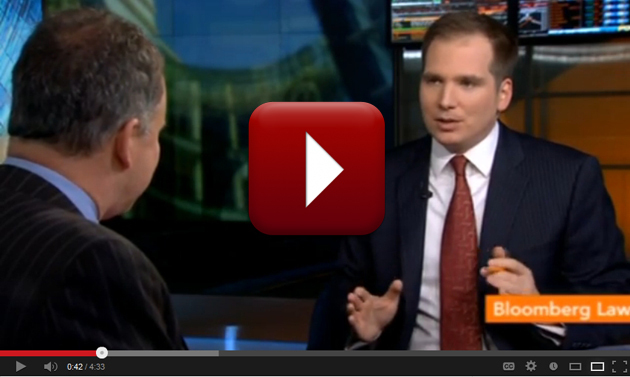 I added our videos to Bloomberg’s own distribution channels, including Bloomberg.com and the company’s mobile apps. Our shows appear on the Bloomberg terminal, used by more than 300,000 finance professionals worldwide, as well as within the Bloomberg Law product. 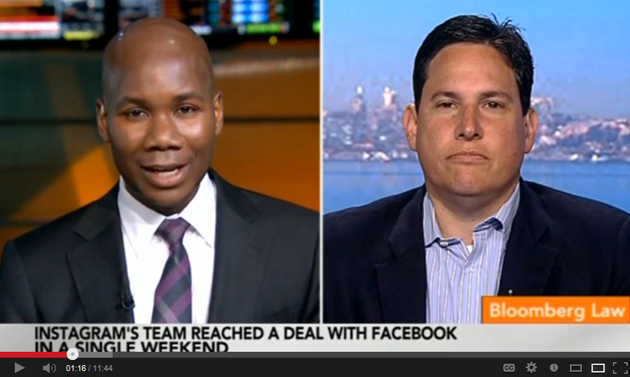 I also looked beyond Bloomberg for distribution channels. Our programming is now a part of JD Supra, a marketing service used by major law firms and other legal information providers. And I’ve negotiated partnerships with leading legal information providers like ABA Journal, Above the Law and the American Bankruptcy Institute to embed shows of interest to their audiences on their websites on a weekly basis. With better content and wider distribution, we’ve built the first web video news service for the legal profession. As of August 2013, our videos have been viewed 1.2 million times in the past 12 months – a 12-fold increase over our viewership in 2011. 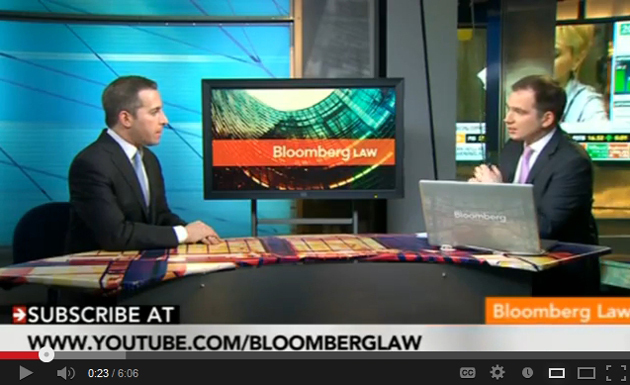 We’re reaching not just a broad audience, but the right audience for Bloomberg Law. Our videos have been played at executive committee meetings of major law firms, and managing partners have sent them to their colleagues. Our sales staff has used them to start conversations with prospective customers and they have led directly to sales of Bloomberg Law. In this episode of Rainmakers, the lawyer who represented Instagram in its acquisition by Facebook tells my colleague Spencer Mazyck how the deal got done in just three days. In this episode of Stealth Lawyers, a former associate at a major New York law firm describes how she’s become a successful food and travel blogger. Our Trending in Law series, produced by my colleague Josh Block, is our sandbox to experiment with shorter videos that have a faster pace. 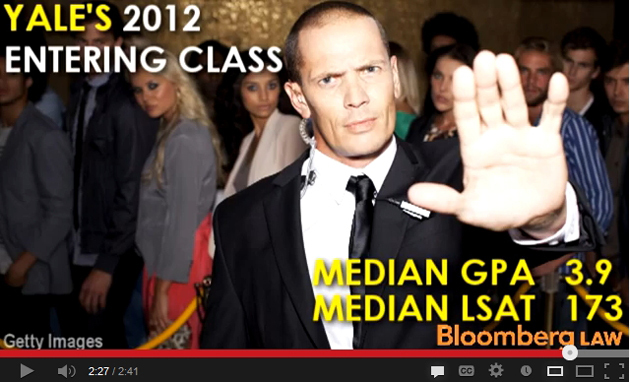 In this episode, we dug into an annual data report from the Law School Admissions Council to find seven things viewers don’t know about law school admissions.